The story of Lhasa begins with a love story. Back in the 7th century, the young and capable Tibetan leader Songtsan Gampo unified the tribes and became King of Tibet. He knew that his neighbour, the Middle Kingdom, was powerful and rich. 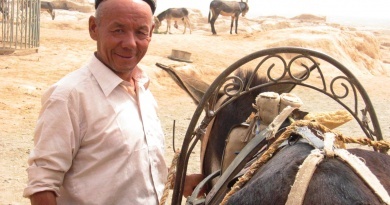 Many merchants from the west went to trade with her via the Silk Road. In an effort to establish ties with the Middle Kingdom he sent his ambassadors to the Tang Emperor, asking for Tang Princess Wencheng as his wife. It took Princess Wenchang three whole years to travel from Xian, the capital of Tang Dynasty, to Tibet. The Tibetan King, in order to welcome this noble princess, built the city of Lhasa to tell the generations to come about this momentous event. In addition to a rich dowry like jewelleries and silk, Princess Wencheng also brought with her a statue of Buddha. With the support from Songtsan Gampo, Buddhism began to spread over Tibet and Lhasa becomes the cultural, political and relgious centre of this mysterious land. While you are in Tibet, you’ll be amazed the role religion plays in the daily life of the Tibetans. When you travel to Tibet, you’ll visit a lot of the monasteries, which are great demonstrations of Tibetan culture and way of life. You will also pass through the great mountains and lakes on the way when you travel one from place to another. Meet and greet at the airport and transfer to hotel. You will enjoy the scenery of Yalung Zhangbo River and Tibetan villages along the way from airport to hotel. Rest of the time take a rest to acclimatize yourselves with the high altitude. 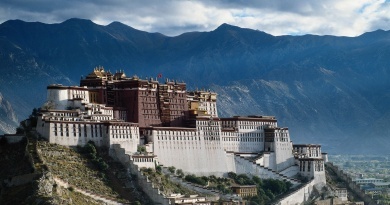 Enjoy a full day tour in Lhasa. Visit the Potala Palace, a UNESCO World Cultural and Heritage site and the political and religious centre of Tibet. The palace houses numerous invaluable treasures: murals, stupas, statues and other Tibetan art. 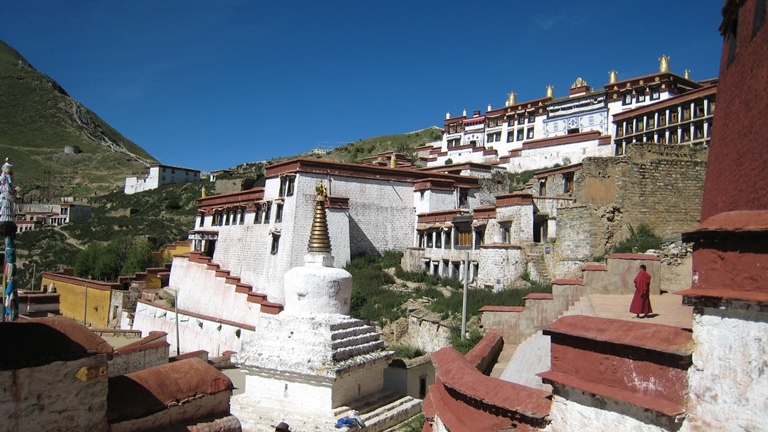 Return to the city and tour to Jokhang Temple and the bustling Octagon Street. The Jokhang Temple is the ultimate destination for a Tibetan pilgrimage, where devoted Buddhists will walk with all four limbs on the ground hundreds of km from all over the province to Jokhang Monastery. The Octagon Street is the high street of Tibet, with stores selling all kinds of Tibetan handicrafts. Tour to Drepung Monastery, Sera Monastery and Summer Palace. The Drepung Monastery is known as the most important monastery of Gelugpa in Tibetan Buddhism. It is considered one of the 'Three Great Monasteries' (the other two are the Ganden Monastery and the Sera Monastery. It used to be the living palace of Dalai Lamas before the reconstruction of Potala palace. The Sera Monastery is one of the three great monasteries in Lhasa and one of the six great monasteries of the Gelug Sect of Buddhism in Tibet. Sera is famous for its "Buddhism Scriptures Debating": monks can be seen preparing for monastic exam by staging mock debates in the ritual way. The Summer Palace is the Treasure Park located at the suburb of Lhasa. It is the biggest man made garden in Tibet and consists of se veral palace complexes and is listed by UNESCO as an extension to Potala Palace because of its cultural value. A full day tour to Namtso Lake, a Heavenly Lake and one of the Holy Lakes of Tibet. Namtso is famous for its high altitude (4720 meters), vast area (1961 square kilometers (about 757 square miles) and beautiful scenery. It is also the highest altitude saltwater lake in the world. Tibetans believe that the soul of every visitor who has ever been here will be cleansed by the pure lake water. Travel to Tsedang and visit the Semye Temple and Yamblagang. Semye Temple was Tibet's very first monastery and has a history that spans over 1,200 years. It is designed to represent the Buddhist universe and many of the buildings in the courtyard are cosmological symbols. The central building of Semye, its foremost feature, comprises a mixture of architectural styles: the ground and first floors were originally Tibetan in style, the second floor was Chinese and the third floor was Indian. The Yumblagang, a medieval-European-castle-like structure, reputed as Tibet's oldest building. It doesn't take that long to explore Yumbulagang. Perhaps the best part of the visit is the walk up along the ridge above the building. There’re fabulous views of the Yarlung valley. Travel to Yamdrok Lake. The Yamdrok Lake is a Holy Lake in Tibet. The turquoise blue lake has indescribable scenic beauty, prompting Tibetans to compare it with the fairyland in heaven. The holy lake is also a pilgrimage site for Tibetans. Every summer, gangs of pilgrims trek here to pray and receive blessings. Pilgrims believe that its water can make the old young again. You'll also drive pass Honghe Valley, the filming location of the film "Honghe Valley" before arriving at Gyangze. Visit the Palkhor Monastery. The monastery houses monks from the Gelugpa and Sakyapa. Travel to Yamdrok Lake. The Yamdrok Lake is a Holy Lake in Tibet. The turquoise blue lake has indescribable scenic beauty, prompting the Tibetans to compare it with the fairyland in heaven. The holy lake is also a pilgrimage site for Tibetans. Every summer, gangs of pilgrims trek there to pray and receive blessings. Pilgrims believe that its water can make the old young again. You’ll also drive pass Honghe Valley, the filming location of the film “Honghe Valley” before arriving at Gryanstc. Visit the Palkhor Monastery. The monastery houses monks from the Gelugpa, Sakyapa and Kahdampa orders, and the three orders find a way to get along with each other in harmony. 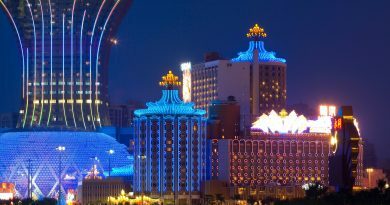 As a result, its structural style, deities enshrined and murals accommodate characteristics of all three different orders. There is also a Ten Thousand Buddha Pagoda, the only one found in Tibet. Drive to Shiagatse after Palkhor Monastery. Travel to Tashilhunpulo Monastery before checking in hotel. Built in 1447, the Tashilhungpo (meaning auspicious Sumeru) Monastery is located on the southern slope of the Nyima Mountain to the west of the Shiagatse city. It is one of the four monasteries of the Gelug Sect of Tibetan Buddhism. Transfer to Lhasa afterwards. Free until pick up to the airport to your next destination. Lhasa (3,650m) Potala Place The palace is highest of its kind in the world. Built in the 7th century, it is composed of the Red and White Palaces, with the red palace in the middle. The Red Palace is where the religious halls are, and the White Palace is the residence of Dalai Lammas and where they handle political affairs. Jokhang Monastery Final destination of the Tibetan pilgrimage. There you’ll see religious Tibetans holding prayer wheels walking round the Monastery for their pilgrimage. Barkor Street The shopping street in Tibet around Jokhang Monastery. 500 meters long around the Jokhang Monastery, it is also final section of the pilgrimage. There are pious Buddhists turning their prayer wheels in their hands, walking clockwise to complete their journey. Summer Palace (Norbu Lingka) Norbu Lingka in Tibetan means a lovely garden. Built in 1740s, it is used by the Eighth, Thirteen and Fourteen Dali Lamas as their palaces. Gandian Monastery 60km east of Lhasa, it is one of the three great monasteries in Lhasa and one of the six great monasteries of the Gelug Sect. Gandian means happiness and contentedness. The monastery was built in the early 15th century. Sera Monastery One of the three great monasteries of the Gelug Sect of Buddhism in Tibet. It was built by a disciple of Zonggaba in 1419. Drepung Monastery On the slope of the Wuze Hill 5km northeast of Lhasa. It was built in 1416 and is the largest monastery of the Gelug Sec, covering an area of 250,000 sq.m. In its heyday, there were more than 10,000 monks at the monastery. It houses plenty of historical and cultural relics and Buddhist classics. During the Shoton Festival, it is one of the most important religious sites where the monks will perform ‘sunning the Buddha’. Gyangze (3,977m) Lake Yamzho Yumco 4,400 metres above sea level. It covers an area of 800 sq.km, and in Tibetan language, Yamzho Yumco means green jade in pasture. Indeed, it looks like a piece of sapphire in the mountains. Palkor Monastery Built in 1414, it is a college where three sects of Buddhism: Sagya, Kadam and Gelug are studied. The nine story pagoda is 32.5 metres high and has 108 doors. Its 77 Buddhists halls house some 100,000 Buddha statues, which also give the Pagoda the name of ‘100,000 Buddha Pagoda’. Xigaze Trashihumpo Monastery Built in 1447 by the First Dalai Lama. The monastery houses the 22.4 metre high gilded bronze statue of Qiangba Buddha, the tallest in the world. It is also the place of reincarnation of the Bainqen Lamas. Lake Nam Co The highest lake in the world at 4,781 metre, and one of the holy lakes in Tiebt. It takes more than 10 days to walk around the lake. Zetang Yombulagang Palace The first palace in Tibet. It was said that the palace was built in the 2nd century by the first king Nyatri Tsanpo. It houses statues of the three world Buddhas. Samyae Monastery The monastery was built in 779, and the first monastery for the monks. The magnificent Central Hall is composed of three floors – the first floor in Tibetan architectural style, the second Chinese and the third Indian. Momentous Asia. Foreign passport holders are required to apply for a Tibetan Permit, which can be made via travel agents. HK SAR Passport holders are exempted. The average altitude is 4000m. Many 5 star hotels are facilitated with a clinic in case visitors are not feeling comfortable due to high altitude. There are also 24-hours medical centres in major towns. The most popular connection to Tibet is from Chengdu. There are several flights available. Other major cities like Beijing also have flights to Lhasa. In addition to air, you can also travel to Tibet by train.